We understand how to create those coveted, quick, light-moving, nimble steps with power. In addition to the footwork exercises, balance work and plyometric drills also have value in increasing one's explosiveness. Incorporated into an athlete's strength and conditioning program, they round out effective training and help create the distance that our athletes seek to put between themselves and opponents on the playing field. The weight room session is our primary means of increasing an athlete’s explosive strength. These sessions are age appropriate and are designed to give our athletes a functional strength base from which to increase their performance. Sessions incorporate olympic lifts and plyometrics to increase explosiveness and utilize a variety of free weights to increase strength, muscle mass, and increase joint integrity. While most training centers around the country don't even think about “reactions” as they could possibly pertain to a strength and conditioning program, at The Duke Academy, we view it as the factor that bridges the gap between agility and quickness. At The Duke Academy, our sprinters will be coached to prioritize the power and running mechanics necessary to achieve maximum speed. Alternatively, since there are very few times in sports when athletes ever run at maximum speed, coaches at The Duke Academy focus training on agility. 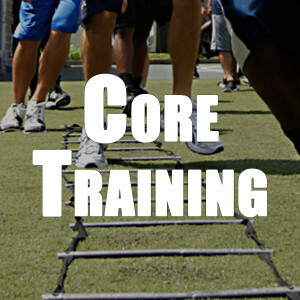 At The Duke Academy, we understand the difference between training for core stability and training for core strength. We know when it’s important to be strong and stable through rotation, from side-to-side and from front-to-back. We show that the core, or trunk, has the main purpose in athletics of allowing an athlete to transfer force from the ground upward and outward.